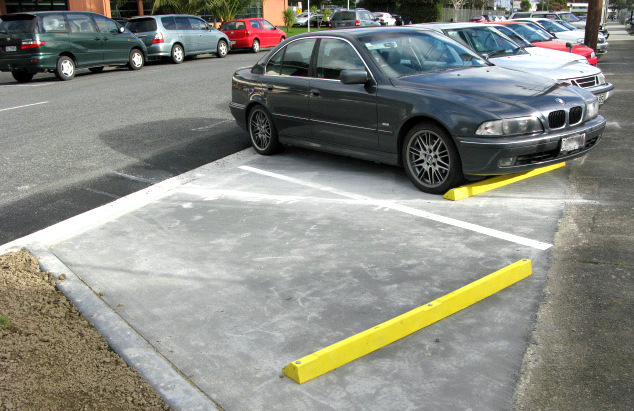 Replas recycled plastic wheel stops are a tough, light-weight alternative to concrete stops. 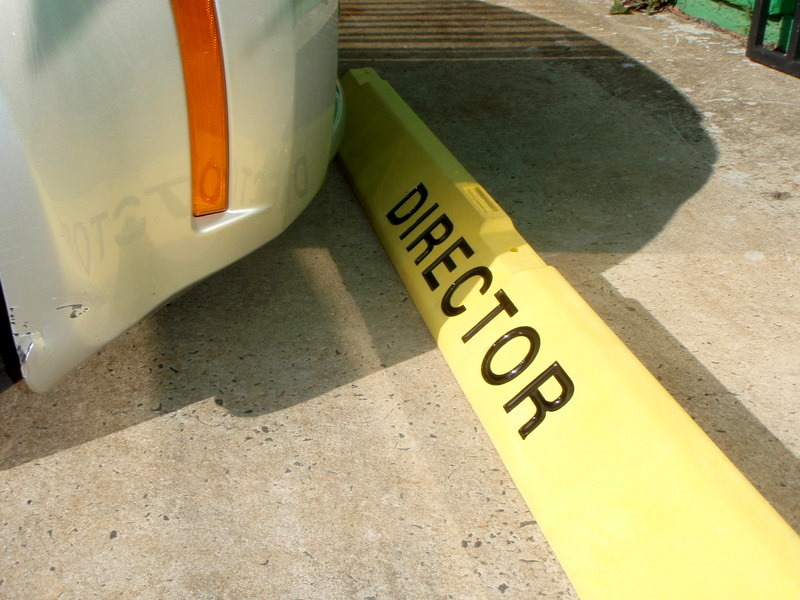 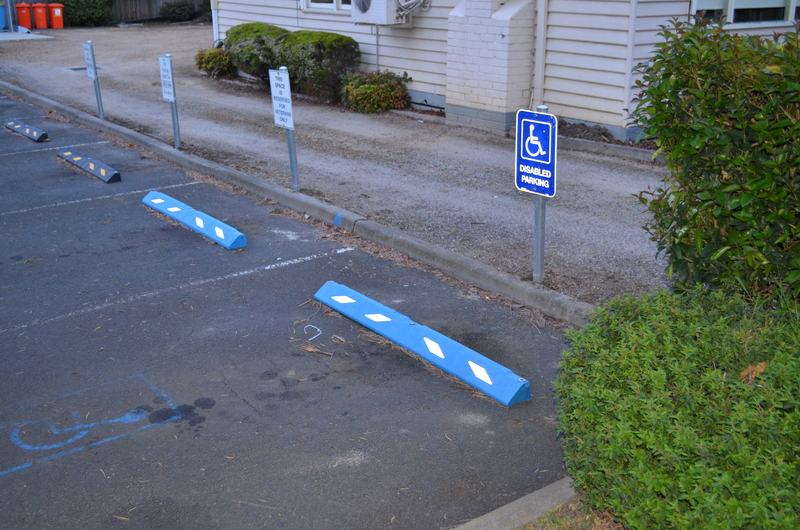 They can be used in car parks to prevent damage to walls, garden beds, pathways and other vehicles.All wheel stops can be routed with text, for reserved parking or company branding, while the blue colour is idea for disabled parking. 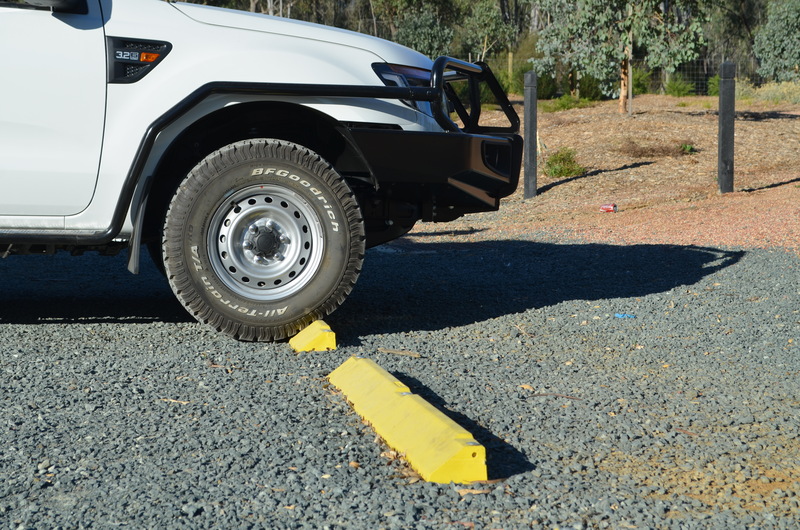 Installation Their light-weight construction means that they can be installed by one person without the use of expensive lifting equipment or risking personal injury. 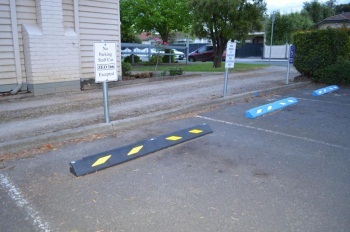 Fasteners can be supplied at an additional cost to suit installation on a bitumen or concrete surface. 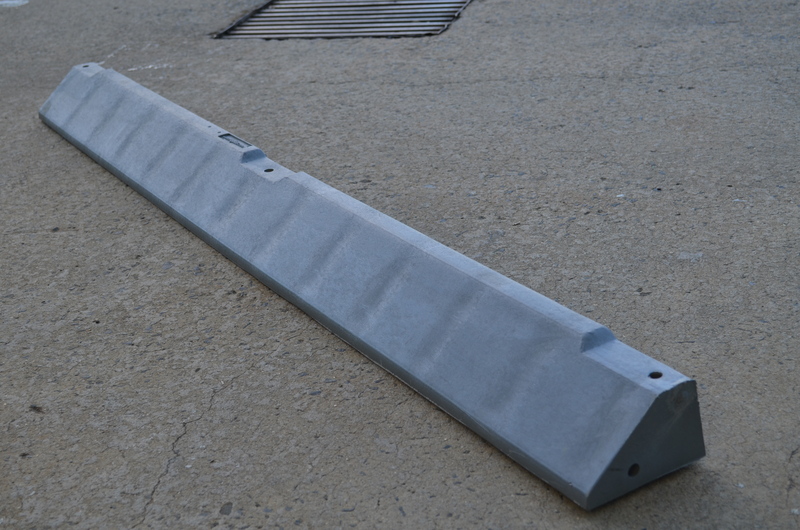 Three fasteners are required per unit: 150 mm bolts for concrete and 300 mm spikes for bitumen. 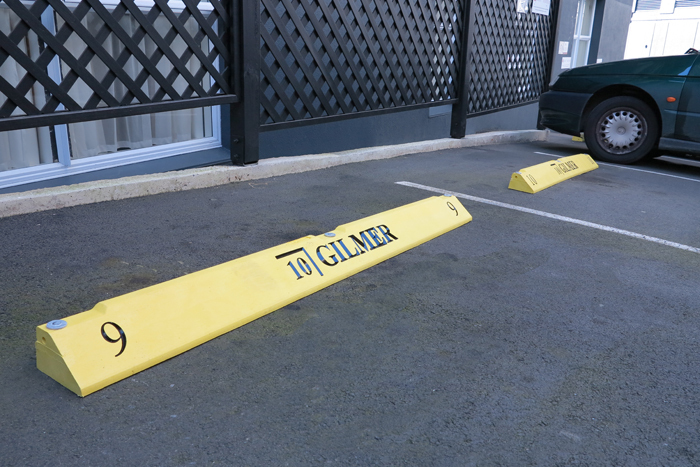 Available in a length of 1.65 m, in grey, yellow or blue, their low 100 mm height prevents damage to cars that have low-set spoilers.